Our trained staff treats your instrument with the care it deserves from minor repairs to major restorations. Elizabeth Shaak — rehairs, bow repairs, bow restoration, frog copies, new handmade bows. 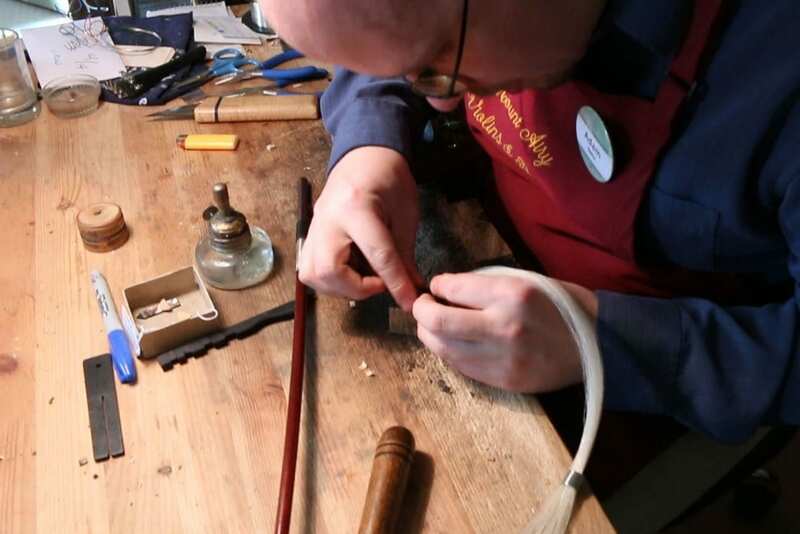 Adam Oleksa — rehairs, bow repairs, violin and viola set-up, repairs and sound adjustments. Thomas LaForgia — violin, viola, and cello set-up and repairs, specializing in cello sound adjustments. Elizabeth Perry — violin, viola, and cello set-up and repairs, restoration and new handmade instruments. 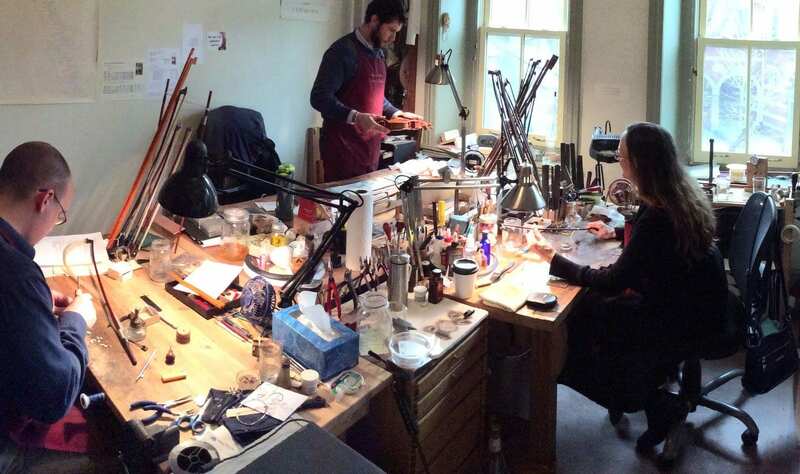 Rafaello Stefanini—violin, viola and cello repairs, restoration and new handmade violins. Rehairs can be done while you wait. Maintain the health of your instrument. We repair damage caused by wear and accidents. We restore older instruments with sensitive care.